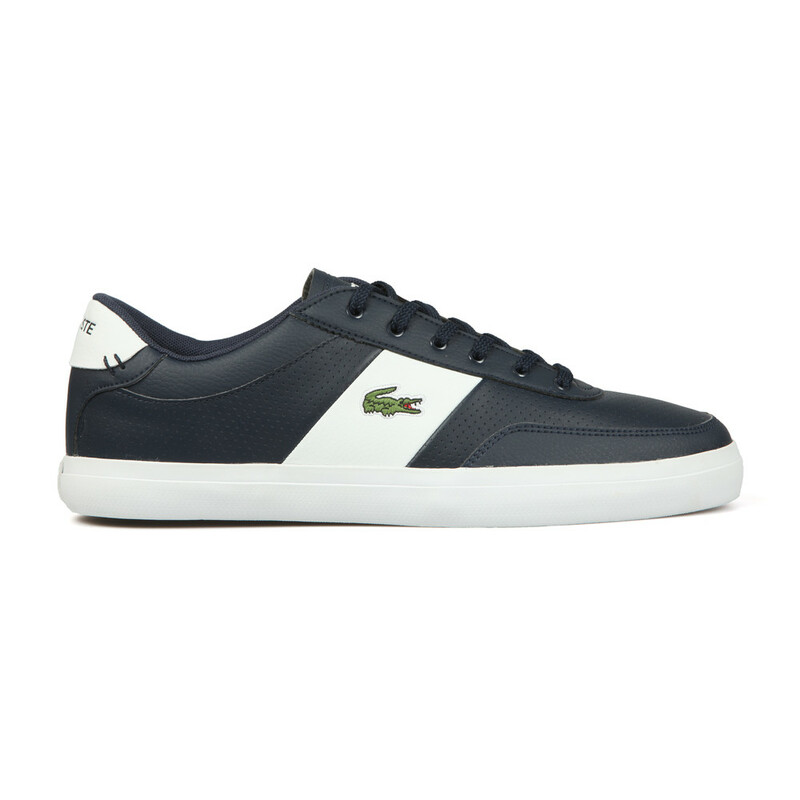 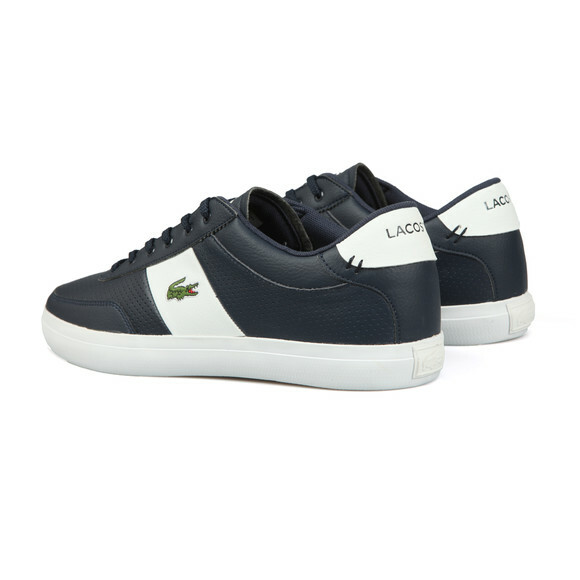 Lacoste Court Master Leather Trainer in Navy/White. 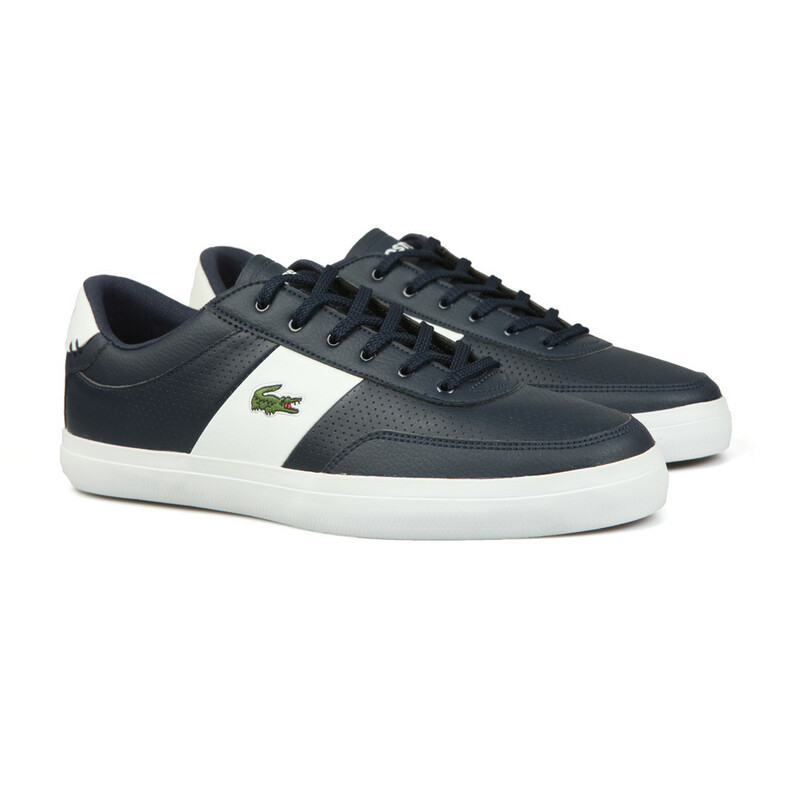 An all-leather, low-profile trainer with contrast coloured side stripe. Lacoste have designed the trainer with branding on the heel and tongue and an embroidered crocodile logo on the outer side.